Nitric Acid Industry studies poisonous liquid that gives off choking red or yellow fumes in moist air. 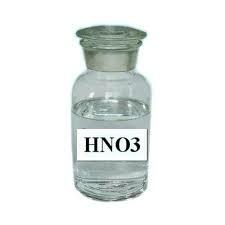 It is a strong oxidizing agent. It ionizes readily in solution, forming a good conductor of electricity. It is miscible with water in all proportions. Nitric acid is a clear to slightly yellow aqueous solution that has been treated to remove most free nitrogen oxides. This highly corrosive intermediate chemical is a strong mineral acid used in the production of nitrate based fertilizers, nylon precursors and other specialty chemicals. Global Nitric Acid Market is spread across 137 pages, profiling 30 top companies and supported with tables and figures. In this report we converting the different concentration of nitric acid into 100, namely in this report we counting the nitric acid(100%)’s capacity, production price and other items. The worldwide market for Nitric Acid is expected to grow at a CAGR of roughly 3.3% over the next five years, will reach 13800 million US$ in 2024, from 11400 million US$ in 2019, according to a new study. Chapter 1: Describe Nitric Acid Introduction, product scope, market overview, market opportunities, market risk, and market driving force. Chapter 2: Analyze the top manufacturers of Nitric Acid, with sales, revenue, and price of Nitric Acid, in 2015 and 2017. Chapter 4: Show the global market by regions, with sales, revenue and market share of Nitric Acid, for each region, from 2011 to 2017. Chapter 12: In Chapter Eleven Nitric Acid market forecast, by regions, type and application, with sales and revenue, from 2017 to 2024. Chapter 13, 14 and 15: Describe Nitric Acid sales channel, distributors, traders, dealers, appendix and data source.